Bulldogs pick up another key MVC victory to stay undefeated. SALEM — The slimmest of hairs separated the Hall-Dale and Mt. 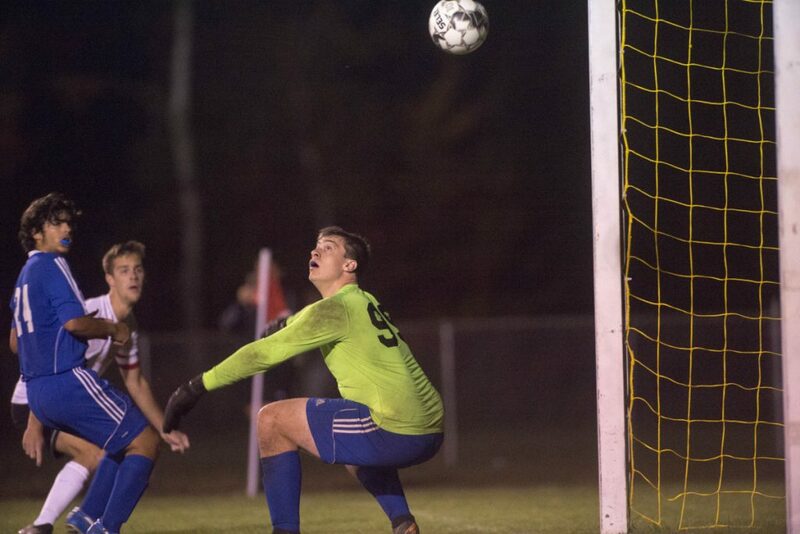 Abram boys soccer teams Tuesday night in a meeting of two of the region’s best sides. 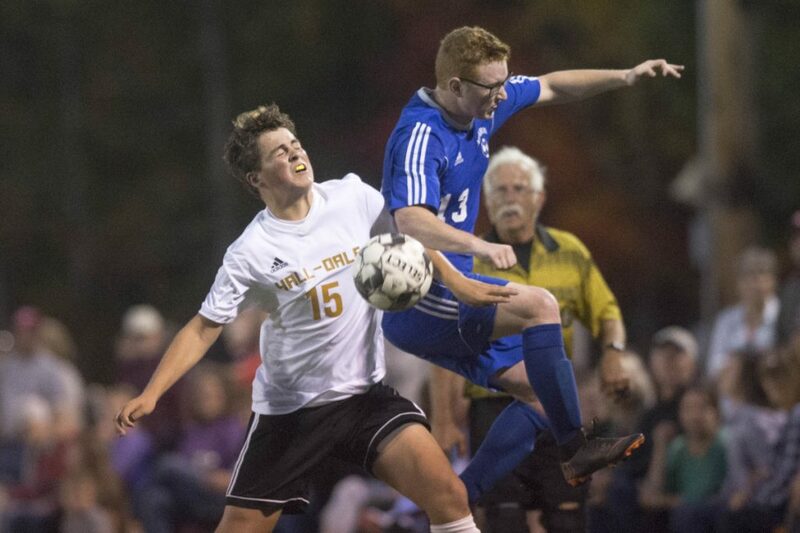 In a game featuring few poor decisions on the pitch, and even fewer scoring opportunities in either direction, it was senior Alec Byron’s goal shortly after the halftime break that provided the difference in Hall-Dale’s 1-0 win over Mt. Abram in a Mountain Valley Conference tilt at Potter’s Park. The Bulldogs improved to 12-0-0. The game opened up a bit for the Bulldogs late on, with Mt. Abram pressing higher in search of an equalizer, but they could not connect for the insurance marker. 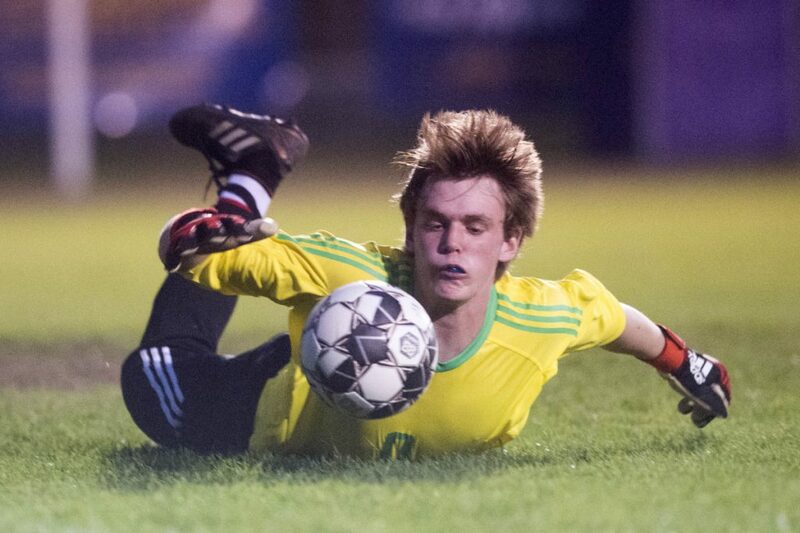 The best of those chances came off the right foot of senior center midfielder Matt Albert, whose short-side free kick from just off the left edge of the penalty area was thwarted by a diving save from Deming in dense traffic along the goal line. Though the two sides played only six days earlier — a 2-1 Hall-Dale victory — this game was very different. 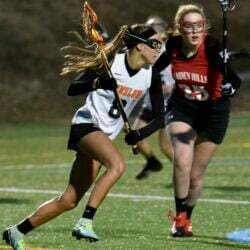 Hall-Dale’s larger pitch allowed the Bulldogs to utilize their skill and speed, while the Potter’s Park dimensions turned things into more of a match channeled through the middle. Abbott and Albert, along with others, presented a size advantage that first neutralized Martinez in the middle and then forced the Roadrunners to serve side into a strong, tall Bulldog back line.